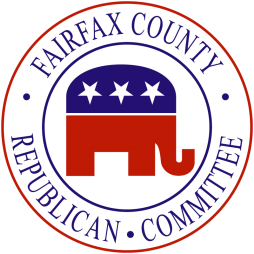 On Saturday, the Fairfax County Republican Committee held its biennial election and the FCRC now has a new Chairman; his name is Tim Hannigan. The turnout of roughly 900 delegates, who paid $25 for the privilege of voting, exceeded expectations. The entire affair was conducted very professionally as both candidates were given a last minute (OK, 7 minutes) opportunity to make a final pitch for votes, the vote itself went smoothly, and the actual vote count was supervised by two very capable, fair, and knowledgeable party officials. Tim was gracious in victory and Mike was just as gracious in accepting the voters’ preference. I can only wish that every election across the United States was organized and managed in such a manner. The vote tally reflected a substantial margin of victory for Hannigan. Yes, I celebrate the result but the greater value in the numbers is that they send a strong and unequivocal message to the local Republican political establishment: we are livid at your past 2 years’ electoral performance, thoroughly frustrated at the Party’s inability and/or refusal to take action to remedy that situation, and weary of excuses. 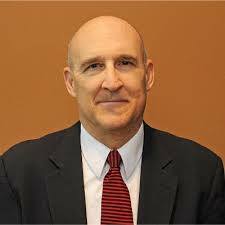 It is time for a change….Now it will be up to Hannigan to provide the leadership for a dismayed Party membership that is anxious to do the work necessary to actually win again. No longer will there be Democrats running unopposed for seats representing Fairfax County. No longer will membership meetings be about reading tiresome reports rather than discussing issues important to our citizens. No longer will people be asked to volunteer but never get called upon to do anything constructive. No longer will there be precincts without Republican election officer representation on election days. No longer will there be unprepared volunteers handing out literature at polling places on election days. No longer will we be willing to lose without a fight. In conclusion, Saturday was a great day as the people of Fairfax County’s Republican Party made their voices heard, loud and clear, that the old losing ways are over and that we want to take control of our County, and our lives, back from the spendthrift Fairfax County Board of Supervisors and the tone deaf school board that never saw a dollar it hasn’t already spent. Let us Make Fairfax Great Again.